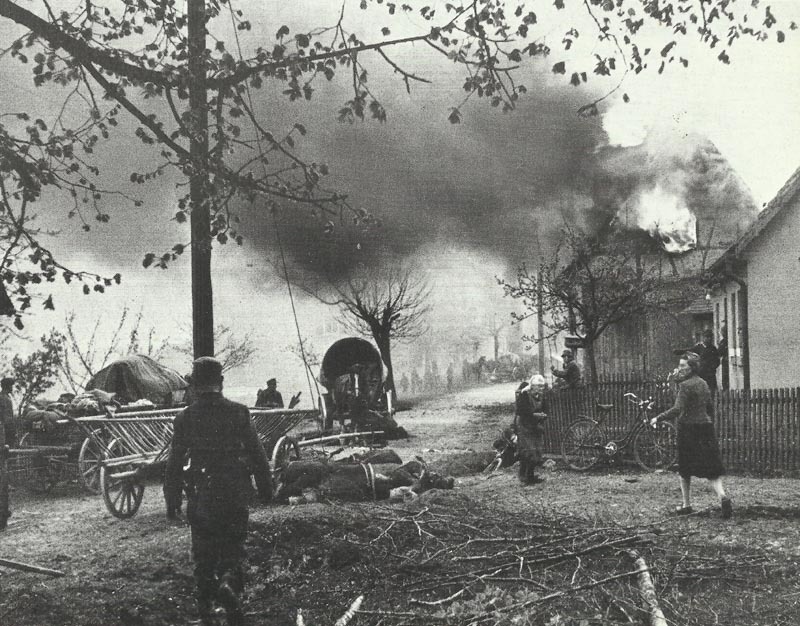 A village in Franconia (northern Bavaria) is destroyed in one of the final battles in the West. Holland: Arnheim captured by British forces. Germans offer fierce resistance and demolish bridge before retreating. Americans attack strong Japanese defences in hilly Motobu Peninsular (Northern Okinawa). Atlantic – Operation Teardrop: 2 carrier TGs carry out urgent search for Seewolf U-boat group suspected of transport­ing V-2 rockets to be launched against New York. Germany: 298 RAF bombers attacking Kiel and dropping 1,905 t. of bombs. 364 RAF bombers attacking Potsdam and dropping 1,751 t. of bombs.